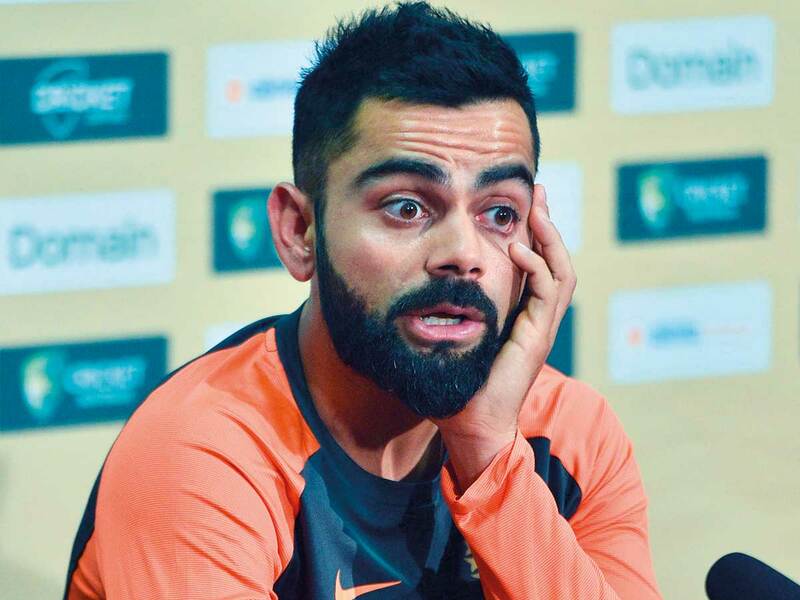 Adelaide: The Indian bowling attack, rated as the most balanced in recent years, will have its task cut in all-rounder Hardik Pandya’s absence but the additional workload on hard Australian wickets shouldn’t be perceived as “burden”, said skipper Virat Kohli. Pandya is currently recuperating from a back injury and many pundits believed that the all-rounder suited Australian conditions. The Indian skipper agreed that four-man attack led by Ishant Sharma will have to share those extra overs among themselves, a cushion that all-rounder Pandya would have given. “Losing the all-rounder obviously has an impact,” said Kohli on the eve of the first Test against Australia in Adelaide. “I mean every side would like to have a fast-bowling all-rounder, which we don’t have right now with Hardik injured. That obviously is a great luxury to have for any side. The hard bouncy tracks and big grounds could test a bowler’s strength and stamina, but the skipper believes that his bowlers won’t treat it as an adversity but a challenge. “They should look forward to that and not think of it as a burden or something which is going to be tough,” said Kohli. “Because at the international level, things are tough. So, we will just have to embrace that and make something out of the resources that we have at present and try to put in the performances that the team expects from the players. What Kohli has found heartening is that none of the members of the bowling unit are aiming at personal glory but are committed to the team strategy of delivering good sessions. “No one is going out there gunning for a six-wicket haul for himself, if it means bowling eight good overs in a spot and getting a wicket for the team, they are ready to do that,” he said. Speaking about the opposition bowling attack, Kohli is looking for showing positive intent against Nathan Lyon, considered by many as the best off-spinner of his time. “He understands the pace of the wicket, the bounce,” said Kohli. “He hits the bat harder and quicker than any other spinner that I have faced in Australia. You have to at your best against guys like Nathan and their bowling attack. Meanwhile, Australia sprang a surprise by axing vice-captain Mitch Marsh on Wednesday for the first Test, as Usman Khawaja’s return was confirmed despite the shock of his brother’s arrest. “Mitch has not been as consistent as he would like and we would like,” said Paine, after the all-rounder endured lean tours of South Africa and the UAE, where they played Pakistan.